It’s August, and it’s hot. I’m thinking of winter’s chill, and big fat yarn. This is my Snowflake Christmas stocking. It’s one of my earlier patterns; I first published it in 2009. But I designed this stocking way before that. My original chart says 1997 on it, charted in Excel! It was eventually joined by stockings for the rest of our family. I’m upgrading my Snowflake Christmas Stocking pattern to include some additional motifs. I’ll have the dancers, and these birds. And a blank-ish chart if you want to chart your own adventure. The pattern is currently available through Ravelry for $5 USD. The upgraded pattern will be $6 USD, but if you’ve purchased the pattern before the upgrade, you’ll get the updated pattern for no extra charge. I should have it done by Friday, August 18. 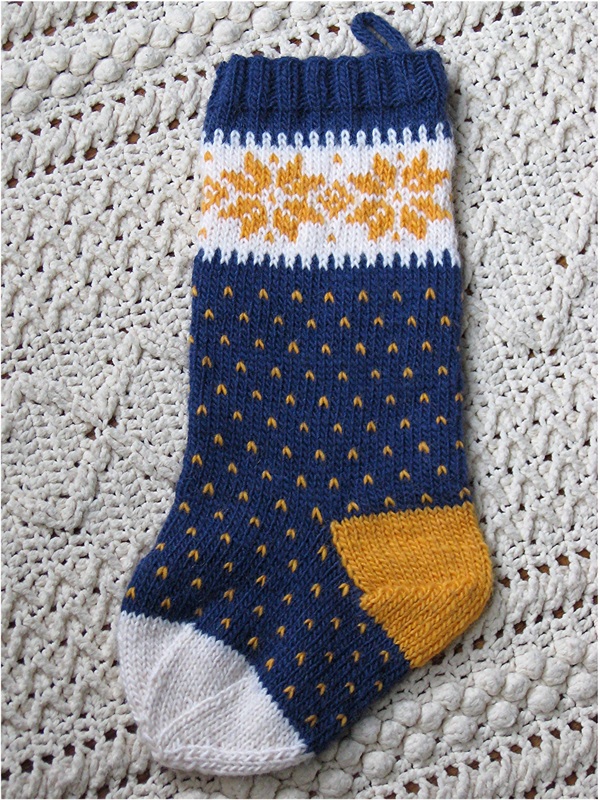 I’m teaching a class with this pattern at For Yarn’s Sake in Beaverton on Sunday, November 12. We’ll turn a tiny practice heel, and learn to work simple stranded colorwork in the round. 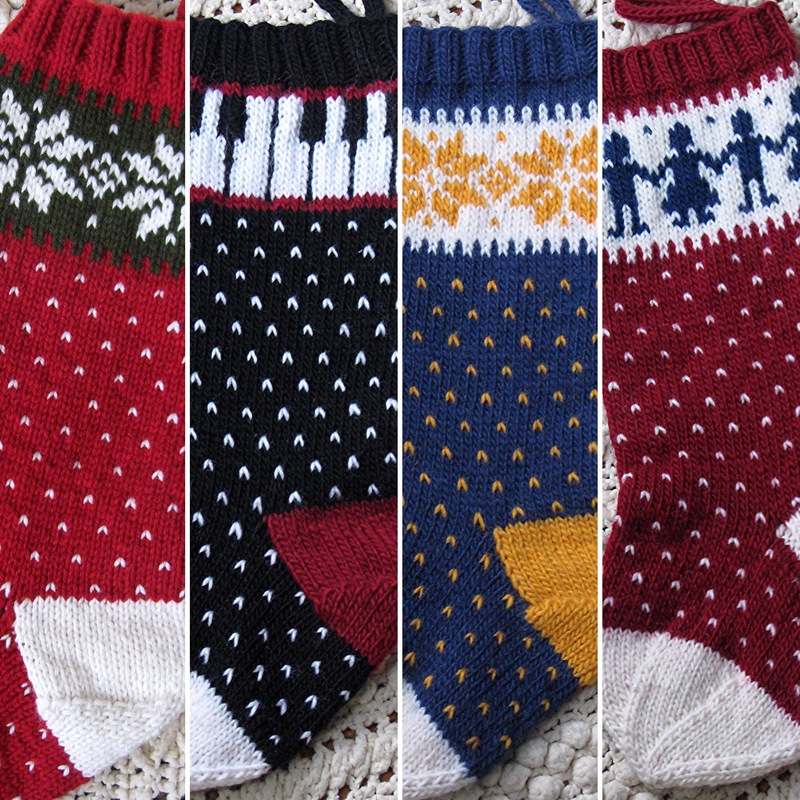 If you haven’t knit socks before, a Christmas stocking is an ideal first sock! You only have to knit one (no second sock syndrome), and it’s quick with big yarn and big needles. I wanted to have more motif options for class, so that’s what’s driving this pattern upgrade. Coming soon! Are you dreaming of Christmas? Not yet? 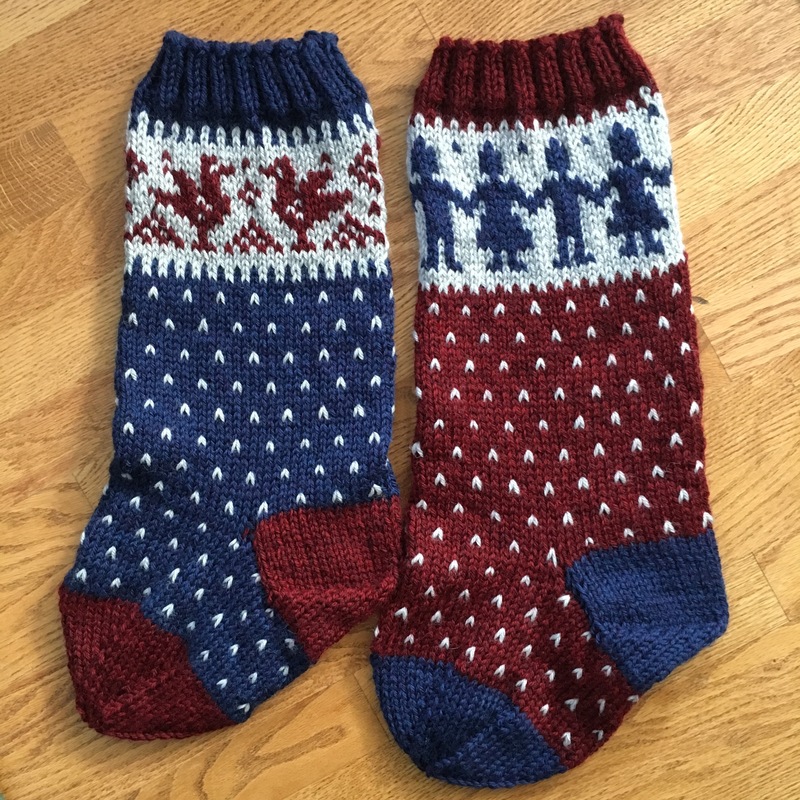 This entry was posted in classes, Knit, pattern design and tagged christmas stocking. Bookmark the permalink. The shape is perfect for a Christmas stocking. Your charts are nice but they do offer me a challenge to take on the blank-ish chart. How did I miss this pattern since I do stalk your patterns Off to the UK for a bit this Friday then to buy the pattern upon return. Knew you’d love the travel angle related to the pattern. Did you see the picture of the woman I taught to knit in Rwanda. Promised I sent her a beginners knitting book. Any recommendations? She picked up the skill quickly but I wasn’t there when she had to bind off. Thanks for stalking! Have fun in the UK. Cooler there? You have the best travel life! A book for your new knitter: How about The Knitter’s Companion by Vicki Square? Lots of good info, but not overwhelming. My favorite go-to is Vogue Knitting, but that one might be overwhelming! I’ve *just* started thinking about Christmas. The first presents have been purchased. Hoping to be done by October 31st this year! Might need some luck on that, but that’s the goal. Knitting for new people is fun! I need to make one more stocking for a new person, too. Maybe I’ll re-purpose one of these. I’m a terrible deadline gift knitter, but I like to shop out of my samples box!